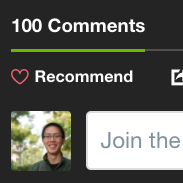 Add a default site avatar for commenters who don’t have one yet. This is a nice way to make readers feel like a part of the community. Moderators on your site have a special badge next to their comments verifying who they are. By default this reads "Mod" but you can easily customize this. If a commenter hasn't chosen a preferred sort order, the default you set is used instead. 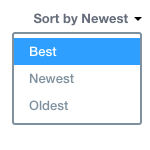 The default option of "Best" is recommended for most sites. 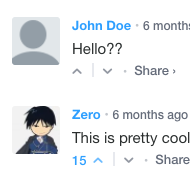 Disqus automatically checks your site's font and background color and adapts to either a light or dark color scheme, along with a serif or sans-serif font. If these are detected incorrectly, you can override them here.